Shooting an Elephant presents an account of George Orwell’s, originally Eric Blair, life in Burma where he was posted as a subdivisional police officer of the British. Burma was a major inspiration for Orwell and his works and remained an important influence throughout his literary career. His experiences in Burma shaped his career in a way and its effect could be clearly felt in his works including his best one ‘1984’. ‘Burmese Days’ presents a detailed account of his life in Burma but apart from that there are other works including ‘A Hanging’ & ‘Shooting an Elephant’ that highlight the beautiful and ugly aspects of life as the author got to live and experience in Burma. Despite a strong anti European feeling among the natives making him feel guilty and bitter, the author could not help feeling for the helpless local people who just did not have better means to express their anguish and disgust over imperial forces. 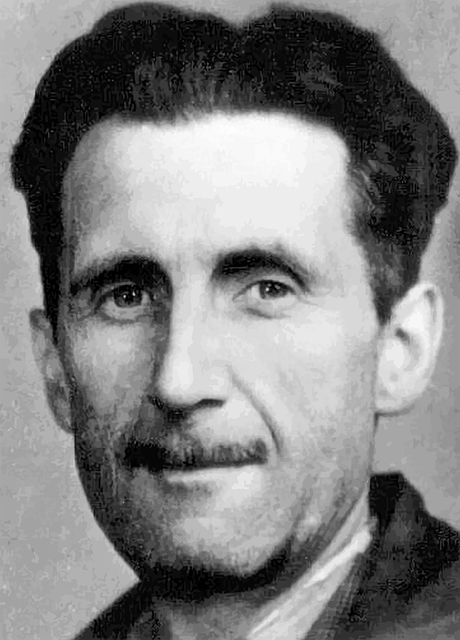 Orwell felt a strong sense of guilt and therefore resigned when he was in England on a leave. However, he continued to publish several literary pieces that showed his strong disgust against the imperial evil in Asia. ‘Shooting an Elephant’ presents an interesting account of life in Burma and vividly portrays how the less developed orientals felt about their oppressors. However, his works also show Orwell’s sensitivity to the inhumanity perpetrated by the imperialist forces and the everlasting impact it was going to have on the Eastern people’s conscience. The incident portrayed in the essay took place in Moulmein, now known as Mawlamyine. Orwell starts with a depiction of local hatred against Europeans and how he got to be on its receiving end many times. While their European oppressors were successful at suppressing revolts of all form, still locals could not help demonstrating their hatred for them. Often feeling that strong and bitter hatred in the form of an angry laughter could be a bone chilling experience for Orwell. What made the hatred against him even bitter was his position of a police officer. It was quite likely that several of them hated him enough to kill him if they could dare to. Nobody dared raise a riot for the fear of strong action from the imperial police force but still if ever a European woman ventured in the market alone, one would spit betel juice on her clothes. Orwell describes how he was tripped up by a Burman on the football field and the Burman referee ignored it while the crowd laughed at him hideously. The Burmese monks were an even bigger problem, irritating him the most. They had no task but to jeer at the Europeans and these Buddhist monks were everywhere in Burma at all corners of everyday life. This was the situation in Burma that had perplexed Orwell deeply who had started loathing his job of a police officer because of being a regular target of offensive attitude which was the locals way to vent out their frustration. However, the tone of Orwell’s essay is sympathetic and seems to be providing a clarification for the sin his imperialist countrymen committed. Orwell draws a stark picture of the cruelties meted out to the local people by their oppressors. In the second paragraph, he describes how cruel a job his was where he got to see the dirty work of Empire at close quarters. The prisons especially presented rich evidence regarding the wrongdoings of the British. Watching those inmates inside locked and stinky cages sitting with cowed faces and scarred buttocks of those bogged with bamboos filled the author with an intolerable sense of guilt. However, Orwell was caught in a bitter dilemma and while he was feeling unlucky at being a part of the British tyranny, on the other he could not help feeling bad about how the locals retaliated with disgust. It felt like being spat at and so in frustration, he thought of driving a bayonet into a Buddhist priest’s guts. The stubbornness with which these Buddhist monks could tease him made him feel the most helpless. However, he calls these feelings a by product of British imperialism. Orwell felt undereducated and under experienced which made him all the more perplexed. While he was growing bitter of imperialism, something happened that let him understand better why these despotic governments acted the way they did. It was an ordinary morning till he received a call from another sub inspector downtown that an elephant had gone out of control and he must do something because it was ravaging the town. What followed was both tragic and comic; childish and serious. Orwell was worried he could hardly do anything but then he decided that he must see. He picked his old .44 Winchester which was cute small to kill an elephant but still he thought that it could be used to terrorise the beast. It was a take elephant that had gone ‘must’ (out of control). He had broken his chains and escaped into the town and the mahout who could control it had given the wrong way to chase the beast and could not be back for twelve hours. he Burmese people were helpless against the elephant attack and the beats and already wreaked havoc. It had killed a cow, and destroyed fruit stalls and stock and even vented its anger on the municipal van. the sub inspector who had called orwell was waiting for him with two constables. It was one of the poorest corners of the town filled only with thatched huts. Orwell could not get any definite information from the locals because in the East the more accurate a description seems, he more inaccurate it gets when you approach the scene. People were pointing in different directions and Orwell had started thinking it was all lie. Suddenly he heard some noise on one side where a woman was shooing away some kids. Orwell started in that direction and saw a Dravidian Coolie’s body lying there almost makes. The man had come under the feet of the elephant. The beast had appeared there suddenly and picked the man by his trunk before grinding him with his feet. The corpse looked devilish with its eyes wide open and skin off its back. Orwell sent back the pony and asked for a rifle from a friend’s house nearby. An orderly brought the rifle with five cartridges and some Burmans informed the author that the beast was in a paddy field nearby. The locals were excited at seeing the rifle and started following the author. They were interested in seeing the elephant being shot dead and while Orwell did not intend to kill the animal but had got the rifle just to protect himself in case the beast went wild; he had already started feeling like a fool. The fat beast was stuffing himself when Orwell approached. The crowd on his back had grown. It was a tame elephant and as soon as Orwell saw it he knew he could not shoot it because that would be like wasting a piece of costly machinery. Orwell thought that the attack of ‘Must’ had passed and that the elephant would mean no harm anymore and could be peacefully brought under control by the mahout. However, the crowd around him had grown and they were at least two thousand which was adding to the growing pressure. He thought he would have to kill the elephant because these people were interested in seeing the elephant getting killed. Their yellow faces were like eager for it and Orwell could hardly think of going against their wills. He was feeling like a puppet being controlled by the will of those 2000 around him and that made him realise he had to act as per the convention. Orwell notes, “I perceived in this moment that when the white man turns tyrant it is his own freedom that he destroys”. Being bound to the role of the oppressor trying to Lord over others, he stands to lose more peace of mind than those on the receiving end. It was not as if the oppressor was ruling them completely; he was also being ruled by their will and had to keep acting like their God to remain in control and that meant being controlled by the locals and to stand up to the standards of being a Burra sahib. It was impossible to do nothing because that would make him look all the bigger fool before the crowd. He was afraid of being laughed at and not being laughed at was every European’s struggle in the East. The bulky animal was eating calmly and Orwell’s mind was considering several things at once. He could not shoot the animal because it did not look good to him and besides that it was worth at least a hundred pounds and the owner stood to lose a lot. The author turned to some experienced looking Burmans to ask how the elephant was behaving who replied that it was calm and would share if they got nearer. Orwell’s mind was moving fast under pressure and he quickly planned what he had to do. He would go near the elephant and shoot if it charged. However, the ground was muddy and Orwell was a poor shot so if he missed and his luck was not good he could see the same fate as the poor Dravidian coolie. However, more than his own health he was worried for the yellow faces following him. The fear of being laughed at was still making him miserable. At last left with no alternative, Orwell got down on the road and aimed at the elephant. He was not an experienced hunter and did not know where to shoot the animal so aimed for its forehead where he thought its brain was. The crowd sighed in relief and as he pulled the trigger it cheered. The elephant did not move but seemed to be trying to beat the overwhelming pain caused by the penetrating bullet. Like he had suddenly grown too old to hold his weight, the beast sat down on its knees. With the second shot he tried to get back on his feet and the third shot brought him down but he seemed to be struggling to remain on his feet till at last he fell. He had trumpeted just once before falling and his breathing continued after he fell. So, Orwell fired the remaining shots where he thought its heart was. The elephant was not dying and so Orwell got his small rifle and poured more bullets into him trying to rid him of the misery he was undergoing in his last moments. He got away after that but came to learn later that it took the animal at least half an hour to die. The Burmans who were eager to have its meat, stripped its bones of all the flesh by afternoon. Heated discussions followed the shooting and the Indian owner was angry but could do nothing. However, Orwell was legally right since the animal had killed a person. The older Europeans thought he had done the right thing whereas the younger ones thought it was not worth it since the coolie was worth nothing before an elephant. Orwell felt good that the coolie had been killed since it made him legally right to have killed the animal. However, he had done it solely to avoid looking a fool before 2000 natives and wondered if any of the Europeans could have guessed that. The essay ends at a comic note but it is difficult to avoid feeling the hidden sarcasm. Orwell shows that while he has been feeling like a fool, it is easy to see others are bigger fools who neither know their own conscience and nor understand the feelings of the natives. The essay has a comic and sarcastic tone and Orwell uses this interesting incident to explain the situation unfolding in Burma. Just to avoid the situation getting too comic he does something that makes him feel even comic inside. At the end he goes on to pour bullets into the elephant just to ensure it is dead. It shows his frustration over the situation that the imperialists had created. Over everything else it shows that the imperialists have achieved everything meaningless there in Burma. Orwell’s work is though provoking but equally soul shaking which shows the poisonous fruits of imperialism have choked and suffocated everyone including the perpetrators. – What is the main point or theme of the essay? Shooting an Elephant is mainly about the tussle going on in Orwell’s conscience while working as a police officer for the British in Burma. However, apart from imperialism and its effects on local life, the essay is also about how the inherent evil of imperialism is destroying the freedom of both the oppressor and the oppressed. The essay deals with the hatred that Europeans had earned for themselves while trying to rule the natives by force. It shows that this has given birth to a comic situation because the oppressor is harming himself more than he is benefitting from his tyranny. This gets obvious in Orwell’s dilemma where he does not want to perpetrate the same evil as his compatriots but can help feeling poorly about the way the natives react to the British tyranny. Especially the Buddhist monks all around Burma are so good at teasing that Orwell hopes he would drive his bayonet through one of them some day. The level of frustration grows making him hate his job because despite all he knows these poor people have no better method of expressing their anguish. So, at last while their acts look pardonable Orwell thinks he will start hating himself while trying to play a Burra Sahib in Burma. The miserable lives of those prisoners inside those stinky and small prison cells and the signs of cruelty on their buttocks, all make him feel deeply for the natives. Apart from the evils of imperialism, it is also a very personal essay in which Orwell expresses how he personally sees things and how he cannot support the evil of imperialism. He is afraid of being laughed at because he is not a monkey like many of those loyal officers are. It is why he cannot afford being hated either. Some of the hatred appears undeserved to him and it is why he is angry at those monks. The fear of being made a laughing stock makes him act the way he does the day he shot the elephant. The British have failed to tame the locals which could have been possible, had they tried love instead of tyranny and tried to form trustful relationships with them. Shooting An Elephant is one of those important essays that deal with the life Orwell experienced in Burma apart from ‘A Hanging’. In these essays he reveals that part of his personality which feels deeply for humanity. As an officer he cannot help abiding to the laws and doing his duty but still he shows that the most important part of him would go missing if he continued in the job. What is the most powerful symbol in the essay? There are two powerful symbols used in the essay to deliver its central message and they are the elephant and the rifle. The target and the weapon are two important symbols. the elephant represents the size of hatred that is growing against their British oppressors among the Burmese people. The rifle represents the weapon of tyranny and the cruel methods used by the British to keep the local population under control. Orwell uses not one but two rifles to kill the elephant and still it keeps breathing and dies half an hour later than Orwell has poured several bullets into it and left the scene. He remains afraid of the will of those local people on his back and it shows that despite their murderous weapons and methods, English have failed to control the natives as they expected. So many bullets prove insufficient to kill the large animal which gives one trumpet and dies in a manner that Orwell feels his heart wrenching. It shows that imperialists stand to gain nothing but hatred that will last longer than the empire lasts. They can inflict as much cruelty as they like but they have built a hell and it will not add to their pride and only deplete them of their willpower like Orwell feels his depleting to see a crowd of 2000 yellow faces on his back. – Why do you think Orwell’s voice as narrative is the only one readers hear? Is the absence of a dialogue a strength or weakness in “Shooting an Elephant”? The reason that the readers can hear only Orwell’s voice is that apart from being an attack on imperialism, this is also a very personal essay that recounts how Orwell felt being a part of the tragic imperial drama. Rather than talking of Burma or imperialism, it is about his personal feelings on both and how they affect him. Readers do not hear any other voice or come across any dialogues which is to retain the focus on the central theme. It is to keep the readers focused on the core of the topic which is the moral dilemma and guilt that Orwell personally feels while serving the British empire. It is more like the voice of his conscience. Apart from that Orwell uses his voice to retain the comic flavour he has injected into the essay to make it highly engaging. He shows the entire episode from his angle because using various angles might have lessened the strength of his argument and Orwell has tried to steer clear of any form of confusions that might arise from it. This style helps him deliver the point with the effectiveness he wants. – According to Orwell, how did the Burmese subjects and their British rulers interact? The Burmese people and their oppressors were not into a cordial relationship which is evident from the account Orwell presents. It was frequently expressed in their interactions and as Orwell notes if a white lady could dare venture alone into the market, some native would spit betel juice on her. He himself got to be the victim of this hatred at several times. Once on a foot ball field, he was tripped up by a Burmese player as a show of his dislike for European people and an entire crowd laughed at him. The British officials were bound by rules which they had to follow and as such they could not extend a friendly hand towards the locals since they were expected to play the sahib. The account of the prison cells that Orwell portrays in his essay shows that the officials were quite brutal in their treatment of the locals. The English wanted to be respected and while visibly the local people respected them, they would not do so behind their backs. At times these interactions might take a favourable turn and be less biter like when the elephant as on rampage. Still, they never got to become friendly. Even Orwell himself started feeling a dislike for the British Raj which had turned Burma into a hell. Every native face bore a strong abhorrence for its oppressor. – Discuss the nature of British imperial violence in Orwell’s essay, “Shooting an Elephant.” How is the empire’s violence portrayed and what significance does it have? Orwell presents a short direct account of the violence perpetrated by the British imperialists during the entire essay. It is presented in the form of an account of people caged aside small and stinky prison cells. The scars on the buttocks of these prisoners tell how they were brutally bogged. If it was not for the violence they perpetrated the hatred inside the natives would have been less strong. Orwell presents this scene from the prison to demonstrate the burden on his conscience and how much he disliked being an officer and policing the natives. His burden is much different from that of his compatriots who gladly follow everything that is law. the younger officials agree that a coolie is worth less than an elephant. It also shows how less they value the native lives. the central theme of the essay is Orwell’s moral dilemma. To help the readers understand his dilemma he writes about how the violence had scarred Burmese history and is directing him towards self hatred. – What does this incident tell us about imperialism’s impact on its subjects? What does it say about imperialism’s impact on its rulers? In the light of Orwell’s essay, it’s a no brainer that imperialism equals insanity. From the prison cells to the bazaars outside in the town, the hatred for imperialist forces is evident. It shows in the behaviour of the people and its negative impact is evident on how the local people interact with the Europeans. Orwell fells his strong hatred and tries not to be laughed at by the locals. The more cruelties the imperials perpetrate, the more stubborn the locals grow. Their hatred keeps growing intense and even if they do not dare to riot, still they vent their frustration using subtler means to which British find it difficult to retaliate. However, this was about the subjects. the rulers themselves have relinquished much of their liberty while trying to play rulers. Being a Burra sahib they are expected to follow certain conventions, that make them appear all the more comic and inhuman. It is the situation of a moral dilemma for Orwell who says that “I perceived in this moment that when the white man turns tyrant it is his own freedom that he destroys”. While trying to destroy others’ freedom, it is his own that the white man has destroyed along with his peace of mind.